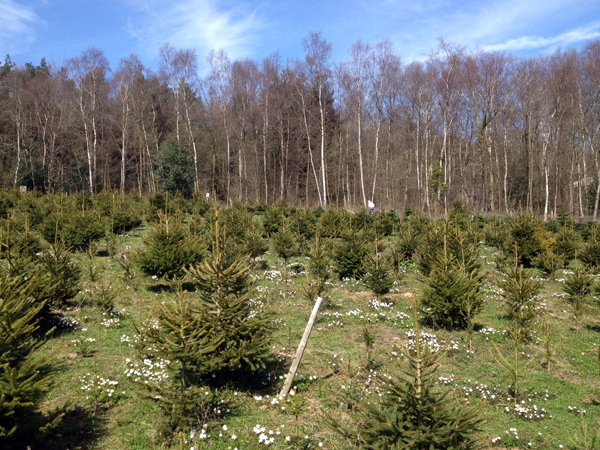 Wilderness wood, in East Sussex, has its own Christmas tree plantation of about 5,000 trees. The enterprise sells about 500 trees each year for between £20 and £30 each so it's a helpful source of income for the business. 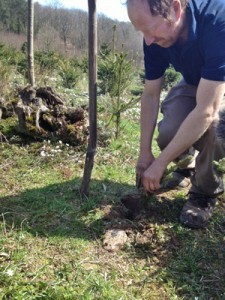 Although the soil is difficult, the trees, once established, do very well on a south-facing slope, and are protected against rabbits, deer and disease. At least flooding and drought are not a risk in these wet, sloping woodlands. Chris Yarrow, who set up the plantation, laments the state of the peaty soil complaining that it "has very little goodness in it and needs constant draining." He'd prefer a greensand soil but is pleased, at least, that it isn't on heavy clay: "the good growth you see here is the result of 30 year' hard work" he explains. Lots of people with small woodlands set up an area where they have a small personal Christmas tree plantation so their trees at Christmas are home-grown and have a known, chemicals-free provenance. Of course, for this you need an area of field or new woodland so that such mini-plantations do not damage areas of ancient woodland. 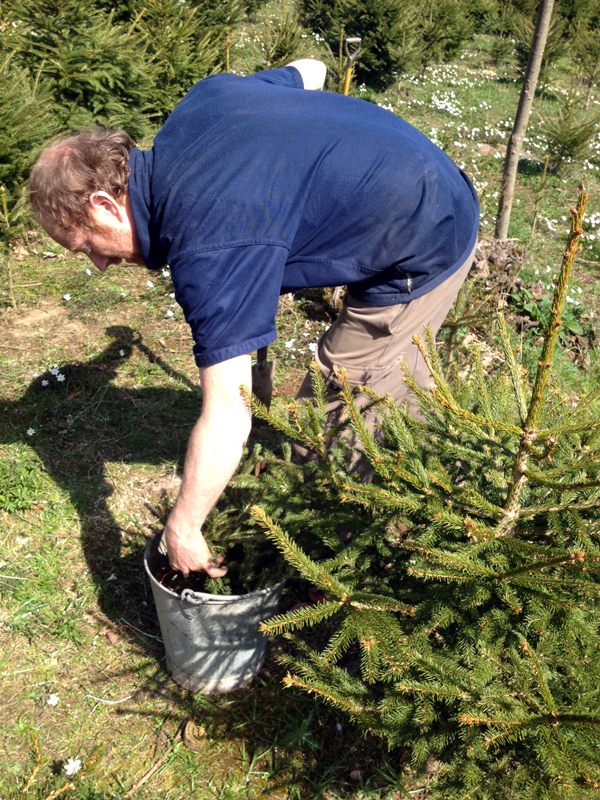 At Wilderness Wood, people visit during November and pick out their own Christmas tree or they can come nearer to Christmas time and cut the tree themselves. In fact, Wilderness Wood has become a local magnet for a range of visitors: school trips with hands-on activities, older people shopping for local produce and people buying garden furniture made from sweet chestnut. They have even introduced candle-lit dinners where diners are entertained by speakers on woodland-related topics, and decorated by a home-grown Christmas tree during December.